Wall St. feeling the love; are homeowners? As of 12:30 pm today, Wall Street was giving itself a nice pat on the back after the major indexes posted promising gains in the morning session, with the Dow and S&P500 both up by more than 1.85%. So pardon me for not jumping on the optimism bandwagon. 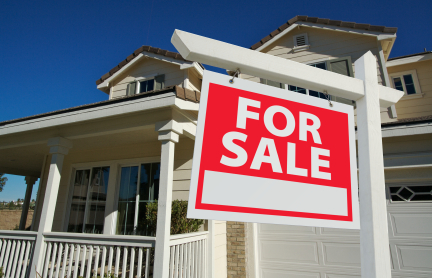 New-home sales in July came in at their lowest levels since February, dropping by 0.7% from June with a seasonally adjusted annual rate of 298,000, according to the U.S. Commerce Department. The best guess says that Wall Street is holding its breath for announcements coming later this week, namely the updated 2nd-quarter GDP numbers that are due out Thursday and an announcement by Fed. chairman Bernanke on Friday.